Lina ist neu in der Klasse und wie sich herausstellt eine echte syrische Detektivin! Wie gut, dass sie mit Nils und Evi in einer Bande ist, denn bei Nils' Großeltern geht es neuerdings nicht mit rechten Dingen zu: Statt leckerem Kuchen gibt es angebrannte Bratkartoffeln, Dinge verschwinden und überall stapelt sich Dosensuppe. 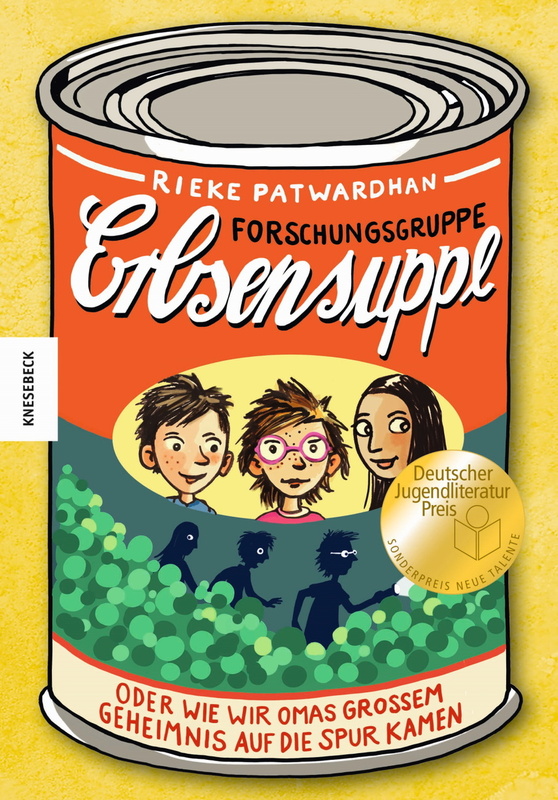 Die "Forschungsgruppe Erbsensuppe" untersucht den Fall mit Witz und Verstand - wenn ihnen nur nicht immer ihre Erzfeinde, die "22 Fragezeichen", in die Quere kommen würden. 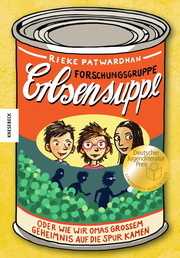 Ein Kinderbuch über die langen Auswirkungen von Flucht und die schützende Kraft der Freundschaft. Rieke Patwardhan, aufgewachsen in Schleswig-Holstein, verbrachte ihre Kindheit damit, auf Bäume zu klettern und dort alle Bücher zu lesen, die sie ihren großen Schwestern entwenden konnte. Nach einer Buchhändlerlehre, dem Studium stetig wechselnder Geisteswissenschaftenund einem Abschluss als Diplompsychologin lebt sie jetzt mit ihrer Familie in Hamburg und schreibt Geschichten, die nun andere Kinder auf Bäumen lesen können. 807280920390LangtextThis Cologne Opera production, one of Rossini's most brilliant compositions, was directed by Michael Hampe and boasts a star-studded cast with Ileana Cotrubas, Carlos Feller, David Kuebler and Alberto Rinaldi. Rossini's opera is a perennial favourite and tells the story of a servant girl, accused of stealing a silver spoon. She is brought to trial by the Justice of the Peace, whose advances she has repulsed, and is condemned to death. Tragedy turns to comedy when, just before the execution is due to take place, it is discovered that the real thief is a magpie. Bruno Bartoletti conducts this lively and colourful production, designed by Mauro Pagano. 807280919790LangtextThis DVD combines a number of operatic highlights: Puccini's Madama Butterfly - the composer's self-proclaimed favourite work and certainly one of the most beloved operas in the repertoire - is brought to life at the worldfamous Arena di Verona. This opulent production, directed by Franco Zeffirelli, is sung by a cast of excellent singer-actors and conducted by long-established Arena di Verona conductor Daniel Oren with all the splendour that a Puccini opera demands. The opera is staged in front of the imposing Roman backdrop of the "Arena di Verona" and directed by respected film and opera director Franco Zeffirelli. Fiorenza Cedolins is a sought after Butterfly singer and her Pinkerton is played by the renowned tenor Marcello Giordani. The performance is lead by Daniel Oren who has worked with the opera festival for more than two decades. The sum of all this is a gloriously sung musical experience.